Right Click on Project -->New -->Business Tier -->ADF Business Components -->Application Module --> Press OK button. Right Click on Project -->New -->Business Tier -->ADF Business Components -->Entity Object --> Press OK button. Step 5: Here you have a option to VO belongs to EO but we will not create and we will Press Button Next. Step 6: In Finish window, Press Finish Button. Right Click on Project -->New -->Business Tier -->ADF Business Components -->View Object --> Press OK button. Step 8: In Finish window, Press Finish Button. In the Application Module Editor select the Data Model node. 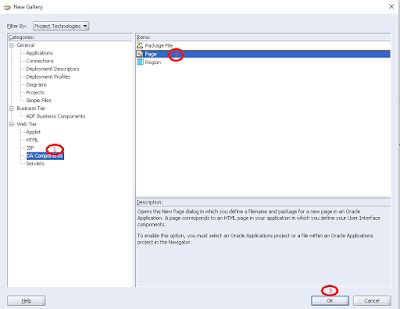 Expand the oracle.apps.fnd.server package, and click on the ImportcsvVO view object. Right Click on Project -->New -->Web Tier -->OA Components -->Page --> Press OK button. 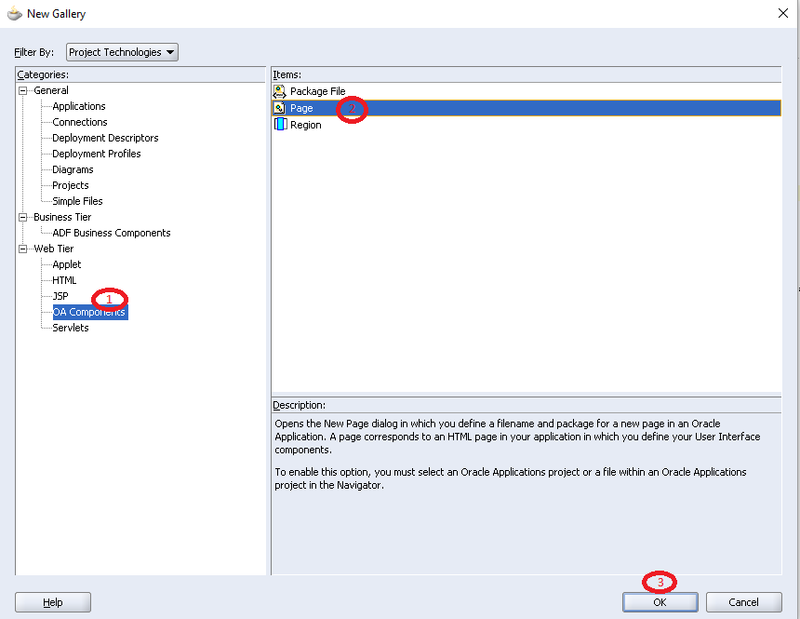 New Window will appear, here you need to Name your page and specify package. In the Structure pane, click on the item ImportcsvPG --> region1 node. components will appear in the Structure pane. Click on the Save All button from the toolbar.